The end of tenancy cleaning service of our company can be suited to the needs of landlords, tenants and real estate agents who are seeking out for immaculate results for their properties. We provide you with the great opportunity to book our end of tenancy cleaning services because we can improve the overall condition of any real estate property and make it more presentable and cosy. Let us provide you with premium end of tenancy cleaning at some of the most economical rates for Golders Green and the nearby areas. With us you will forget about dusty furniture, sticky counter tops and stained carpeting. With us you will know what it feels like to be surrounded by healthy and hygienic atmosphere. We are the true professionals in this cleaning field and we are trained to pay attention to every aspect. That is why, over all these years of operating in Golders Green, we got familiar with any particular demand of the landlords. Because of this we have the confidence to guarantee to all tenants that the final meeting with their landlords will pass smoothly and will get their security deposit in full. In addition to this, they will leave on good terms with the landlord which will echo in future, if they ever find themselves in search of a new home. What sets us apart from the rest of the companies in Golders Green are the flexible working hours we have, the most affordable rates we offer and last but not least- the full transparency of our terms and conditions. We do not have any hidden costs and fees, so you will not be obliged to pay anything more than the declared price. All our cleaners are well mannered and professionally trained to provide the highest levels of cleanliness and hygiene. The high standards we are going to perform will convince you that we are a company which knows how to get any cleaning job done. Our customer service is excellent. You can either reach us through a phone call or visit us directly in one of our offices. We are already looking forward to hearing from you. I was so impressed with the work your housekeepers did for us and our 2-bedroom property. The end of tenancy cleaning service was out of the ordinary. The housekeepers were so professional, worked very hard and did an outstanding job. We will be recommending the service for sure. When people have too many professional responsibilities cleaning is not a priority. Here at Cleaners Agency London, we know that booking a professional cleaning gives peace of mind to every busy homeowner and business contractor. We are specialised in a variety of professional cleaning services, all delivered in a safe and sufficient manner. If you can’t find balance between your job and the cleaning duties, feel free to give us a call. 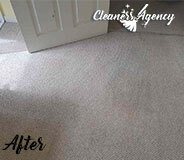 Together we will develop a cleaning plan that suits your preferences. Our mission is to provide you with a reliable cleaning solution that gives you peace of mind and extra free time. For this reason, everyone in our team is rigorously trained to perform numerous cleaning projects. Our operatives have extensive experience in the field of cleaning and excellent understanding of customer service. They are at your disposal every day of the week in the neighbourhood and the nearby areas. 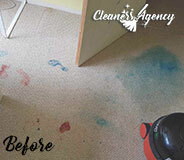 If you are in need of professional end of tenancy cleaning services, we are the right people for you. 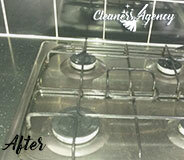 We are based in Golders Green and delivering reliable end of tenancy cleaning sessions is what we are the best at. We have spent many years in the business and we have had the chance to collaborate with many landlords and real estate agents so we are aware of what is currently in the trends. Plus, we command teams of experienced, kind cleaners who are always ready to go the extra mile for our customers. We can guarantee the most satisfying outcome possible. Unlike other companies, we offer a 48-hour guarantee which means that if the landlord or you are not completely satisfied with the outcome provided, we will send a team of cleaners to do a re-clean free of any charge. We are not satisfied till our customers are! Plus, we bring our own powerful cleaning equipment which is composed of environmentally friendly products, safe to be used around children and domestic pets. 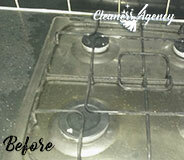 Our end of tenancy cleaning service which guarantee you that every part of the property is deep cleaned. Hurry up and make sure to get in touch with us soon.